The point of this is - YOU control the concentration and retention of the viewer. Based on our previous post, we have received emails from some of you asking to explain a little further on what VSLs were and how you can implement it for your own businesses. 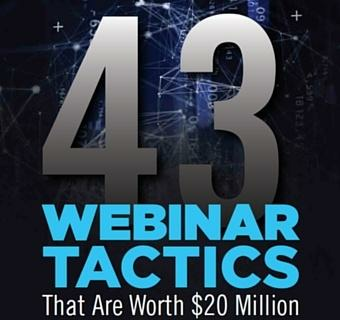 More industry experts on VSLs such as Ryan Deiss – Video Sales Letter Formula and Jon Benson – 3X Marketing VSL Maker have shed light on the benefits of this single video. Do check out their pieces which taught us valuable lessons on improving our VSLs! If you haven’t noticed, there is a pattern in all of these Video Sales Letters. This framework has been used for our top selling products and have been a sure-fire way to convert those numbers for us. Let me first explain the psychology behind this – the best way for a human mind to learn is by engaging in more senses. The beauty of VSLs is that it includes sight and sound. It also keeps the viewer engaged depending on the speed of the slide transitions of the video. The point of this is – YOU control the concentration and retention of the viewer. After breaking down the concept of VSLs, we derived a framework which you can implement to your businesses as well. It doesn’t matter which industry you are in, whether it’s online or offline, email or marketing campaign, VSL or product launch – the headline is the first point of contact with the people you are targeting. The minute the viewer scrolls past it, that’s it. You’re done. Cost per acquisition just went up. Make sure that your headline is catchy, on point and your words are optimised. An Assertive Approach: Command their attention – eg. No more EXCUSES this year. An Exclusive Approach: Tickle curiosity – eg. Secrets other “experts” are not telling you. Alright. They clicked! Now, these are the people who want to see what you got. The first few lines are CRUCIAL. Remember to write as though you are telling a story. People buy into emotions more than logic. Another interesting note is that people love breakthrough stories – how pain can be the best teacher. Think of how you would choose between multiple products. You would choose the one which has the most research, findings and insights, right? How you and your product challenges conventional thinking and DO PITCH WHY. If you just threw an anger fit challenging conventional thinking with no solid backing, you can pretty much kiss this product goodbye. Sound truly passionate about your product and how it sheds light on what people take as the truth. If they are still reading after The Intro, it’s working. You have now psychologically convinced them that they can relate to the product, your experience/your frustration/your theories. This will be the part where you keep building on that vibe. This is it. This was what all the carrot-dangling was for. The anticipation has been built. If the viewer made it through all the way to your CTA, this should be the easiest part. Put a timeframe on your CTA to instil a sense of urgency. Throw in a special offer if they acted based on a certain timeframe. Make sure you follow through and did not set a timer just to induce traffic. You will just be ruining your reputation and credibility if you did. Give a guarantee they will get a full refund if they are not satisfied with your product or that it did not help them. This will give them no reason to say no to your product. The key to your CTA will be to make it a no-brainer decision for the viewer. which soft should I use for VSL in case I want to avoid using Flash (not supported on some devices)? This was a very interesting article. It gives you great information on how really boost your conversions with video marketing.